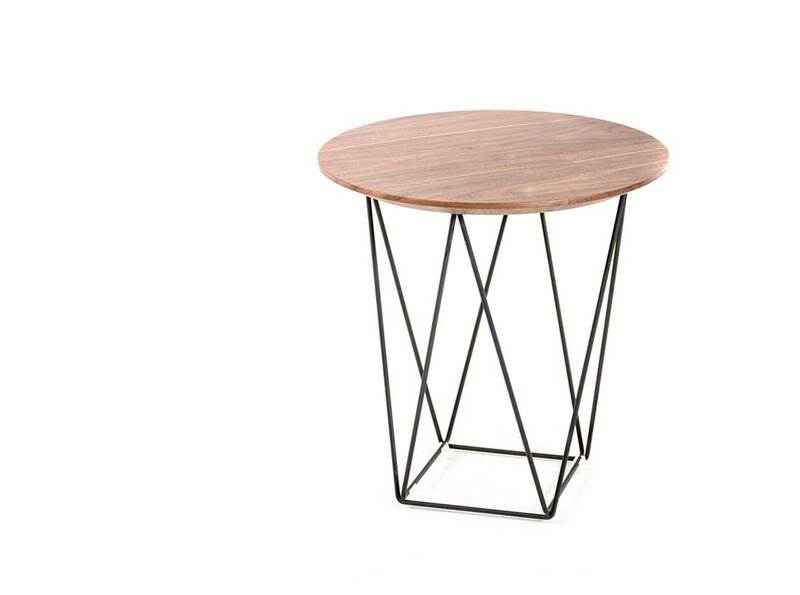 End table is also available. 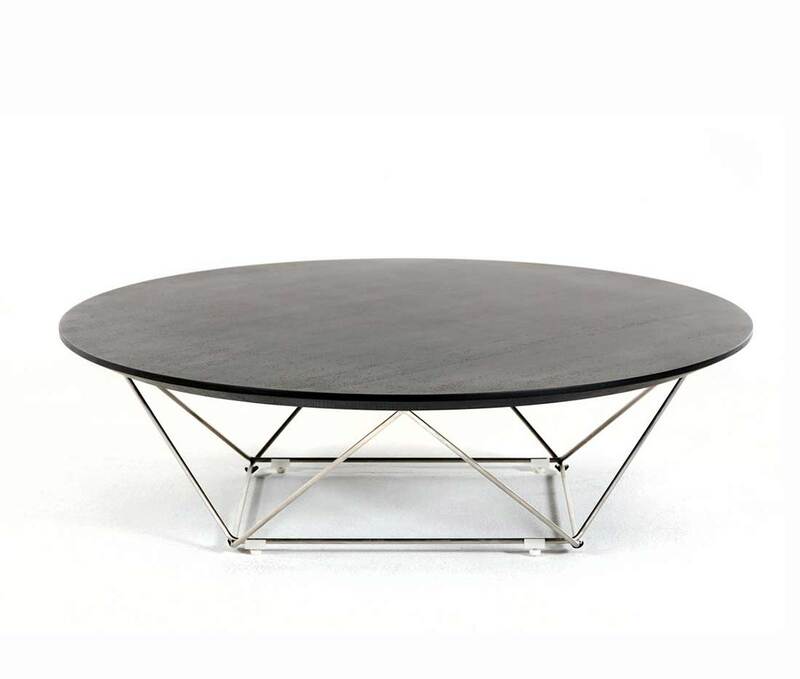 The geometric stainless steel legs create an airy yet sophisticated feel for the VG 115 coffee table. 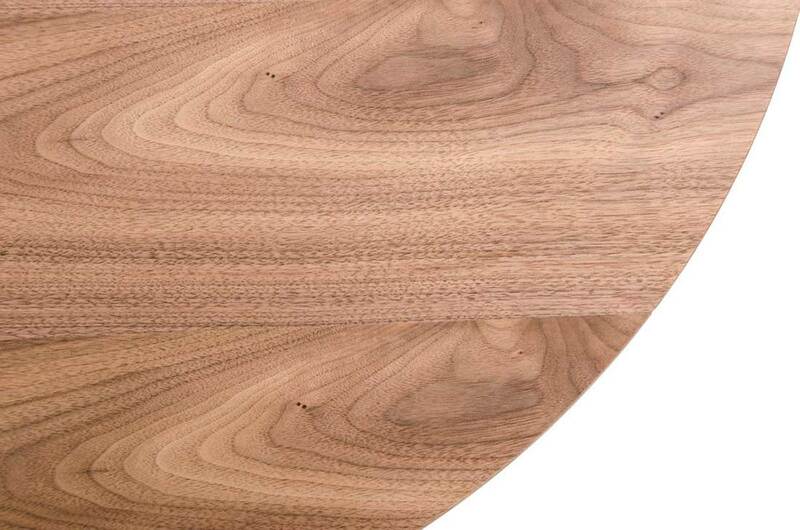 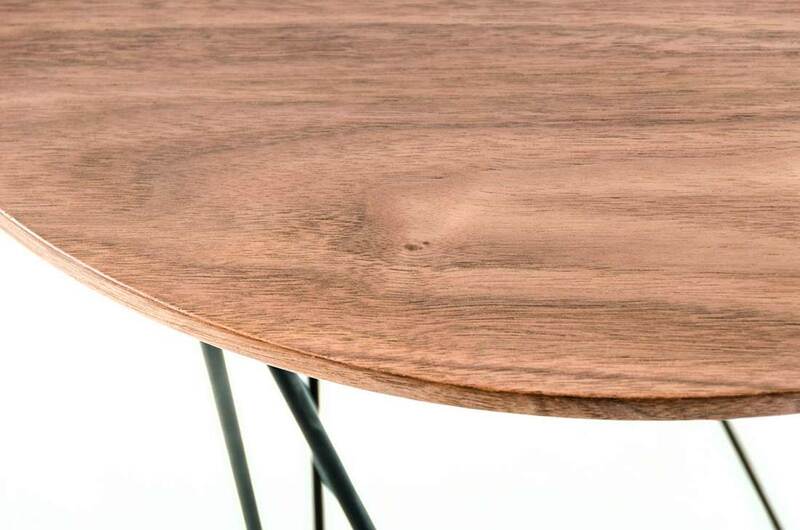 The natural wood grain on the walnut circular top adds a soft texture, creating the ideal contrast to the sleek decorative metal legs. 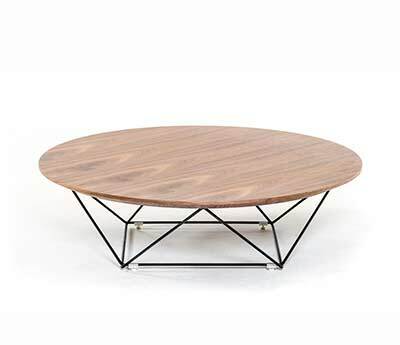 Pair with the Spoke walnut end table to complete the set. 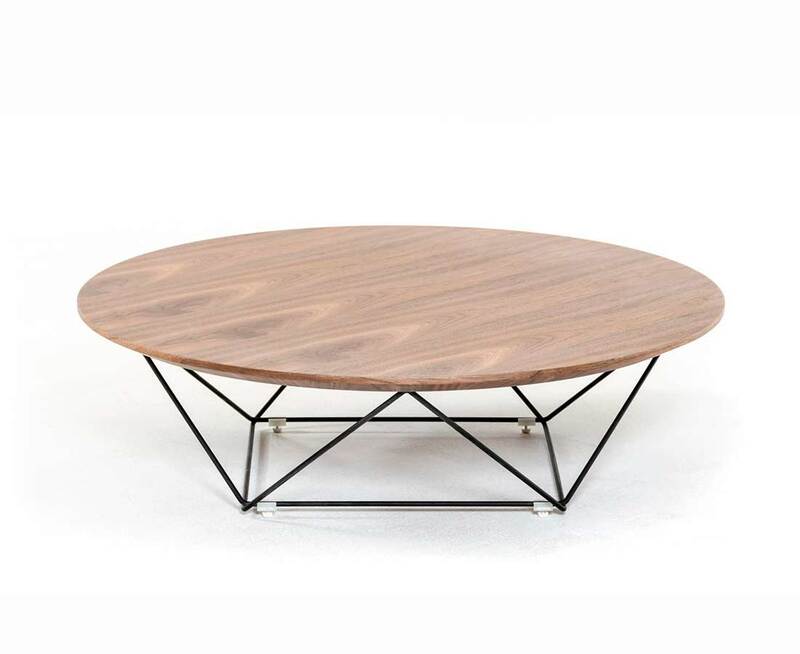 Coffee table W39" x D39" x H11"
White or Black oak finish, Storage slot.